Flemington is the best-known racecourse in Australia. It is the oldest continuing metropolitan racecourse – there have been races here every year since 1840. It is the most significant racing heritage site in the country and in 2006 it was placed on the National Heritage List. The first race meeting held here was on the rough river flats beside the Maribyrnong River in March 1840 when Melbourne as a town was barely five years old. This was two years after Melbourne's first race meeting, near present-day Spencer Street railway station (March 1838). 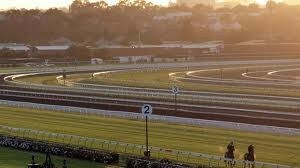 Flemington has also been a great centre for horse training. Many of Australia's most famous trainers have maintained stables at or near the course. Following the 2006 Melbourne Cup Carnival, the Course Proper was ripped up to be fully replaced for the first time in the course's history. Racing was suspended at Flemington until September 2007.